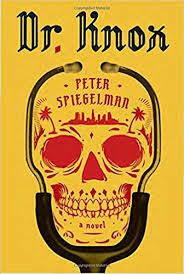 In Peter Spiegelman's noir thriller, Dr. Knox, a well-intentioned doctor working in the seedier parts of Los Angeles, gets himself into big trouble. The Hippocratic command 'do no harm' is a golden rule for the 40-year-old, divorced physician who stars in Peter Spiegelman’s swift thriller Dr. Knox ... Adam Knox supplements his income as head of a clinic in a 'Skid Row-adjacent' L.A. neighborhood by making evening house calls as 'Dr. X,' a no-questions-asked medic for those eager to avoid press coverage or police reports ... Mr. Spiegelman has created a unique Southern California narrator-protagonist whose emergency-room crises are as exciting as car chases, whose martial arts skills are medically informed. 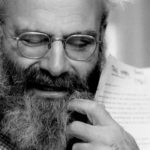 The trouble with Peter ­Spiegelman’s Dr. Knox is that — even as its sentences sometimes sparkle — the plot winds up, then down, with elaborate back stories and comic-book soliloquies substituting for any real skin in the game ... The plot gears start grinding when a woman shows up at Knox’s clinic with a young boy who’s suffering a severe allergy attack. The woman disappears as Knox is treating the child...Knox and the Brays must face off for good, and various mysteries, including the matter of the child’s parentage, are resolved in a series of declamations punctuated by righteous violence ... Then, beer in hand and joint in mouth, he’s fishing for a light when Sutter calls and off they go on another house call, the stage presumably set for a sequel. Peter Spiegelman’s thriller Dr. Knox follows the adventures of Adam Knox, a medical doctor and an ex-NGO member who was disgraced after jeopardizing a mission in his quest to protect ordinary people from a brutal Central African militia ... His world turns upside down when a young boy, supposedly with his mother, comes into his clinic. He senses something is amiss when the boy’s supposed mother runs off without the boy and some not-so-good guys show up at his door ...premise of Dr. Knox may not be that believable; however, it is quite entertaining. Spiegelman writes in first person, from Knox’s point of view, which lends a voice to the protagonist and develops his character ...quite enjoyable with a great amount of suspense. What did you think of Dr. Knox?